Sorry, just too busy to blog these days. 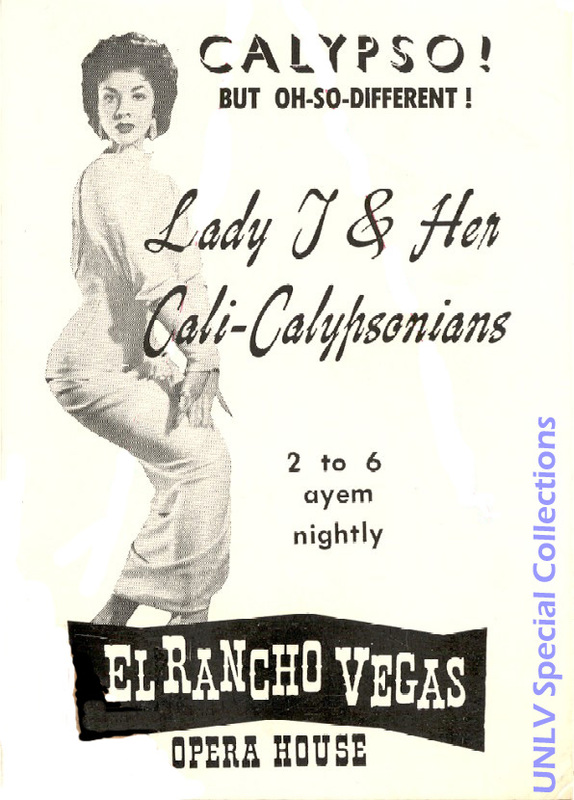 Here's a post from another, defunct blog-from-the-past for your retro enjoyment. The most satisfying part of travelling for any trade show attendee is coming home and sifting through the piles of free giveaways accumulated on the trip. From suit pockets, carry-on bags, and overstuffed luggage compartments come a variety of items that no one would ever actually purchase, but which inexplicably gain value when given away at no cost. These items rarely last very long, as they are quickly broken by over-zealous offspring or surreptitiously discarded by clutter-overloaded spouses (spice?). We, however, have an inner packrat (albeit without the unattractive overbite) and an outer office or two piled high with the detritus of trade shows past. Searching through the voluminous archives of free giveaways here at Telecommedy Central can be a cathartic and occasionally maudlin experience. We're always running across a relic from some bygone company of the Telecomm boom, now remembered only for the free T-shirt or battery-powered tchotchke. The cheapest of all giveaways, the last resort of the small company that blew their budget on that fancy two-level booth with professional representatives, and the only remaining freebee to survive the bust, the mighty pen is the cockroach of the trade show tchotchke. 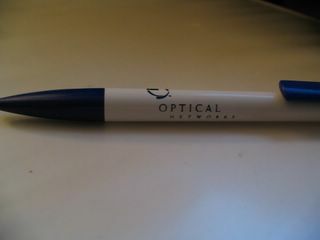 The elusive Optical Networks pen, before they changed their name to ONI, made gobs of cash for their founders and certain Williams Network employees, got purchased by Ciena, and faded into obscurity. The pen's pretty cheap and rather unimpressive. It must have been given out before the windfall allowed them to upgrade to much fancier writing implements. 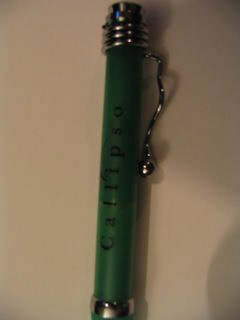 Callipso. They were all over the press, touting their data solutions for revolutionizing buisiness throughout the world. The gods became angry at them for misspelling the name of their favorite island music. Chapter 11, followed by dismemberment and a ritual burning. The pen still works, and the snazzy clip is fun to fiddle with during long meetings. Small toys that can be used to pass the interminable hours on one's feet in a trade show booth are always appreciated. Small bouncy balls are particularly nice. At one trade show, we started a game after hours trying to loft bouncy balls into the Lucent "coffee stain" on a nearly banner (final score Good Guys: 20, Bad Guys: 15, Banner: somewhat less presentable). Although we have quite a few bouncy balls in our collection, none of them are from companies that have disappeared yet (give them time). The second choice for time-passing amusement is the yo-yo. It takes slightly more skill, rolls away into the neighboring booths less often, and usually breaks within a few hours of being brought home to the offspring. So, the fact that not one but two remain in our collection is worthy of a hearty backslapping (followed by a hearty application of Ben Gay to the awkwardly strained muscles). Nortel-Bay. Anyone remember Bay anymore? 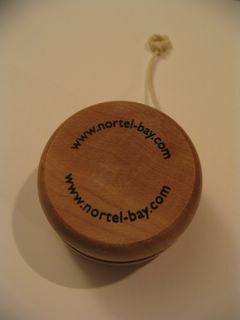 This yo-yo is real wood and actually works quite well. It has provided many hours of entertainment and several broken vases of varying color and quality. Virata made DSL chipsets before DSL chipsets were cool (they aren't anymore, it was a short honeymoon). They made them so well that Globespan bought them and they decided to share names as GlobespanVirata (see Nortel-Bay above) - a truly unwieldy name that, fortunately, was discarded when the whole mess was purchased by Conexant. 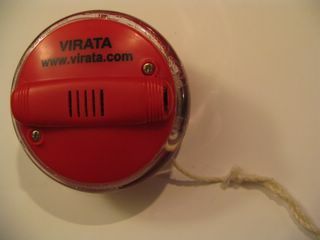 This yo-yo is battery powered and lights up when you yo it. Or at least it used to at one point. now it just sits around and leaks vaguely nauseating battery fluid. Nothing excites the trade show attendee more than the free t-shirt giveaway. Attendees will map out intricate agendas to ensure that they can maximuze their t-shirt return. Rumors of high quality t-shirts are passed in hushed tones to trusted allies. Presentations of no discernable value to one's business are endured in the hopes of securing a particularly unique t-shirt. At the height of the boom, industrious trade show attendees could clothe themselves for an entire year just in free t-shirts. Of course, few considered the downside of the t-shirt giveaway. Many fancy three-color silkscreens ended up being primarily displayed over the sweaty and copious abdomens of overweight and unattractive telecomm minions mowing their lawns in the height of summer. Or even less attractive as a marketing goal - many homeless folks in Atlanta (home of Supercomm just after since the Civil War) ended up sporting attractive telecomm-related t-shirts donated by telecomm spouses fed up with the overwhelming proliferation of geekwear. However, the t-shirt still reigns as the holy grail of trade show freebees. Although their appearance has somewhat slacked off in recent years, the intrepid tradeshow attendee can still score a slightly small, garishly colored, hastily made t-shirt or two and effectively avoid spending money on clothing for just a bit longer. We personally have not paid money for a t-shirt since 1987 (the final Journey tour of any real vaule). 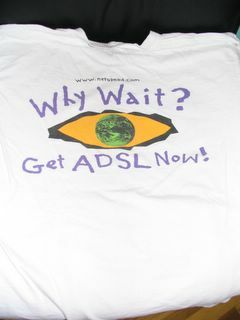 The Netspeed T-shirt - not only dated in that Netspeed was swallowed by the Borg many years ago, but also in its quaint idea that ADSL is the way of the future. We're way past that now - the popular acronym now is ADSL 2. Sometimes with an extra "+" thrown in to show that it's even better. Still, any t-shirt that can stand up to use for nearly 6 years is worthy of mention. Plus, it has the added benefit of prominent use of acronyms, making the wearer appear to be telecomm savvy to the non-telecomm crowd. This t-shirt from Triton is especially interesting in that it does not appear to be a telecomm-related t-shirt at first glance. 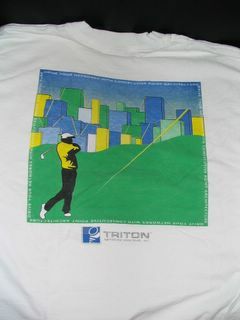 Most casual observers assume that it is a golf-related t-shirt - due primarily to the prominent placement of a golfer on the back. This confusion is helpful when dealing with the common, non-telecomm folk as it makes them more at ease. Golf is something that most people understand, even if some of them believe it to be an environmentally dangerous pastime of the bourgeoisie. Triton made some sort of chip for telecomm. We're not exactly sure. According to our stock research "since August 20, 2001, the Company's activities have been limited primarily to selling remaining assets; paying creditors; terminating any remaining commercial agreements, relationships and outstanding obligations; continuing to honor certain obligations to customers; and conserving cash". And that doesn't sound like much of a business plan for success. These are the items that were different from the crowd and, on occasion, actually useful beyond the trade show pavillion. We must admire those who strive to stand out from the pack of key rings, pens, and bouncy balls to provide the lowly trade show attendee with something that they can give away to obscure relatives as Christmas gifts. 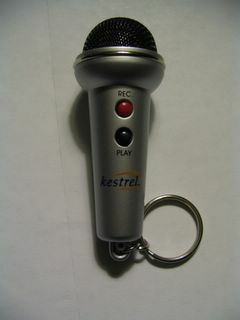 A tiny, battery-powered microphone from Kestrel Solutions. Perfect for recording rude noises and playing them back at inopportune times, these were quite popular when handed out somewhere around 1999. Also truly unique, as we have never seen this giveaway repeated. Which is odd considering the blinding success of Kestrel. Kestrel Solutions raised over 300 million dollars in financing and supposedly raffled off a Porsche to their employees before filing for bankruptcy and disappearing into Silicon Valley purgatory. We didn't get a car, but the microphone is nice, although the batteries died a few years ago and we haven't bothered to attempt to figure out how to replace them. A tiny screwdriver from Cascade. Cascade became Ascend became Lucent. Most telecomm startups are now required to have a former Cascade executive on the board, so you still see the name around a lot. 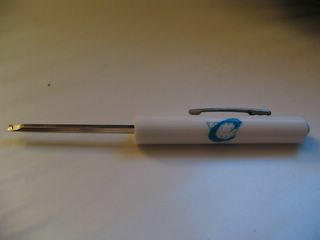 This screwdriver is from their "Education Services", which we imagine is something like a Siberian "education facility". We use the screwdriver to open the battery compartment on our childrens' toys. Although probably not its original intent, this giveaway is breaking with tradition by proving useful long beyond the tradeshow. 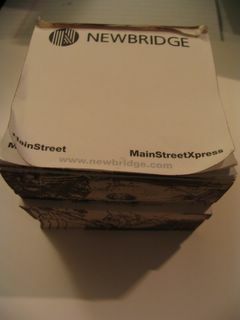 Newbridge. Leader of the world in frame relay. Purchased then unceremoniously squashed by Alcatel. This is a notepad cube announcing some product or other. The interesting part is the Leonardo DaVinci drawings on the sides of cube. If we remember correctly, there was an associated trade show skit involving Leonardo and some scantily-clad Mona Lisa look-alikes. But that may have just been a dream. A beautiful, beautiful dream. This notepad cube is deployed next to our phone, ready to be used for jotting down important messages. The large number of remaining pages should give some indication of our popularity among phone-call-generating colleagues. AFC gave away these little tins of cheap mints. 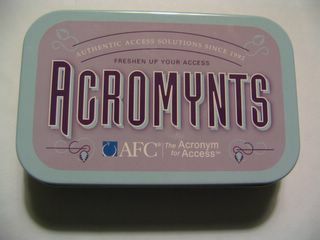 The cutesy name (acromynts) was echoed inside by the acronyms on each mint. The mints are all gone from our tin (we use it now to store shiny objects that we have found on the street), but we seem to recall that the acronyms included FTTP, DSL, PON, WWJD, and others. Although initially appalling in flavor and texture, the mints became addictive as the trade show wore on. Soon, an underground black market in mints arose, with rival gangs claiming turf between discinct sets of aisles. Skirmishes broke out, nasty emails were sent to unsuspecting Blackberries, and the authorities eventually had to be called in to restore order. An object lesson for anyone to consider before bringing edible giveaways to a trade show. AFC, of course, had the temerity to actually win a huge contract from Verizon and was punished by being bought by Tellabs. Let that be a lesson to startups everywhere to be careful what you wish for. In recognition of all of the other nameless, faceless startups, we present this true collectors' item from Supercomm 2000. That year, a group of startup companies with small tradeshow budgets banded together to put on a show that could compete with the likes of Nortel (Blues Brothers performance), Fujitsu (Ray Charles performance), and Lucent (dancing bears). 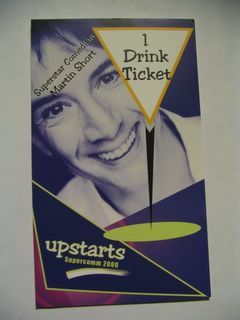 They called themselves the "Upstarts" and hired diminutive commedian Martin Short for a shindig complete with free drinks. Hiring a performer who speaks and expects people to listen rather than a performer who plays loud music and expects people to move around is not a brilliant idea for a trade show. This is an audience full of people who talk for a living - and their customers, with whom they wish to talk. 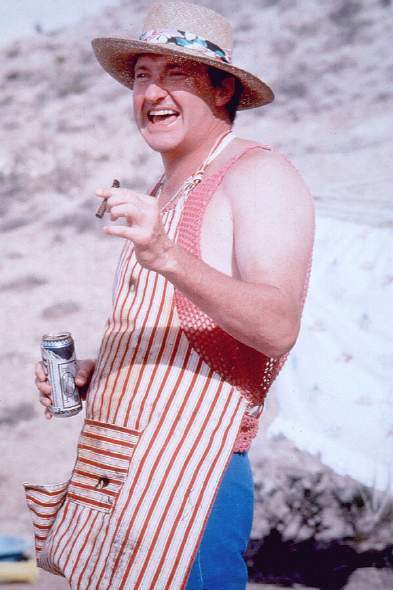 They don't shut up long enough to listen to themselves, much less listen to a Canadian SNL alumnus. It didn't go well for the "Upstarts". Mr. Short ended his act early and left the stage in disgust. The success of the entire debacle should be judged by the fact that nearly 5 years later, we still have a ticket for a free, unconsumed drink. I'm sure that there is an object lesson, and maybe even a moral, in there somewhere. Something about poor decision making by startups during the boom. However, we are not the moralizing type and don't wish to offend anyone who may end up hiring us in the future. So, let's just say that it was a one-time event that will be compensated for in our future decision making. Rather than prattle on and on until you, our poor reader(s), are tired, disgusted, and woefully behind on your homework, we'll stop here and make a request. Do you have an addition for our museum of lost opportunities? If so, send it along. If we can figure out this photo-posting thing, we may even post it. Or maybe not - it really depends on whether or not we like the way you spell your name.